I have been staring at this computer screen for a while. To be honest, I’ve been at a loss for words, which is rare for me. I have always been one who could just write. In fact, when I’m given an assignment with a number limit, I fail. Miserably. I always end up going over by at least 100 words or more. Tonight, I find my mind wandering. I look back these past couple months and a lot has happened in a short amount of time. I write this to you to let you know where I’m at. 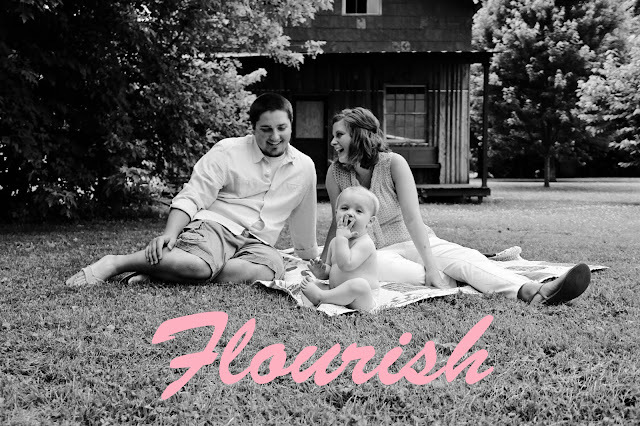 I’ve contemplated a thousand different ways to write on our theme of flourish and none of them felt right. Except this one. A raw post. A hard post. A post that is dear to my heart. I told you previously the past couple months have been crazy. November and December are usually a pretty busy time for us. They are months I look forward to because so many exciting things are happening. Me and my best friend share the same birthday week, Thanksgiving/ black Friday (who doesn’t like black Friday craziness?! ), and then the festivities of Christmas start. This year started out no differently, my birthday came, my best friend’s birthday came and then something I never would have imagined happened. It was a Tuesday morning and I was at staff meeting. I got a text from my best friend which isn’t abnormal, in fact, it’s probably a crime how much we text each other in a given day. However, this morning was different. One simple text, “please pray for mom, I’ll explain later.” Of course I didn’t let it go, I had to know what was going on, so she explained quickly. Her mom was having chest pains. I didn’t think anything of it, I just thought she would go to the doctor and they would figure it all out and everything would be okay. We proceeded with staff meeting where I had the staff pray for her. The next call I would receive from my best friend would forever change everything. I should probably give you a little background. I met my best friend when my husband and I started our first ministry position in Elizabethtown. We had just gotten married and started ministry together a week after our honeymoon. I’ve always been pretty social and I remember that first week realizing I was no longer surrounded by the dorm of girls that I loved so dearly. My crazy best friend Keshia, and my volleyball team. I had a weak moment (we laugh about it now, but I was pretty embarrassed afterwards) in my life when I sat in the middle of our apartment floor and I looked at my husband crying and I said “Is this it? Is this really our life? I’m all alone.” It’s funny now, but I was serious. I felt so alone for the first time ever. After that moment, I began to pray. Really pray for a friend, anyone. I’m pretty sure I would’ve accepted a pet rabbit as a friend at that point. Not only did God answer my prayer, but he far exceeded it. He brought into my life someone who would be so much more than a friend. She would become my very best friend. When I first met Sarah Pike I thought she was pretty cool. I didn’t know she was also kind, sweet, caring, Godly and just an incredible person all the way around. When we started hanging out I quickly realized not only was she an incredible person, but she was surrounded by an incredible family. Her family, the Pikes, quickly grew on me. They captured my heart from the start. If you’ve ever met a Pike, you completely understand and I guarantee you feel the same. There was one Pike in particular who instantly showed me a love I had never experienced from a woman before. Sarah’s mom, Mrs. Joy Pike, showered me with her love and many, many hugs. She loved me from the start, no strings attached. I came from a background where I lacked a motherly figure. When I first met Mrs. Joy I was a little scared of her. Not in bad way, but in a “she is really close to Jesus” way. You know those people who you can just see they walk with Jesus. That was her. But, she didn’t even give me a chance to distance myself from her. She marched right up to me, hugged me and told me she loved me. She took me right in and made me one of her own. And honestly, I really did feel like one of her own. I often used to joke with Sarah and tell her that I was secretly her best friend so I could be close to her mom. We laugh about it, because we both know just how fond of Mrs. Joy I was. I admired her. She walked with such strength, love, and Godliness. She was even saved in my phone as “mom”. It happened by accident, but turned into a complete blessing. Whenever she would text me or call me I would see this loving and encouraging message from “mom,” and instead of having feelings of hurt like I normally would under such a title, I had this warmth that filled my heart as I would read her texts. As fond of her as I was, I grew even fonder of her the day she died. After Sarah called me, I stood there in disbelief. My heart felt a sensation I didn’t even know how to describe. I could not process what I just heard. My heart was aching, screaming on the inside, for Sarah, for the Pikes, and selfishly for myself. I felt like I had just lost my mom, or at least my mom figure. My heart broke. I drove the two hour drive from my house to the Pikes, a drive that normally signified happiness, eagerness and joyful expectation. This drive signified nothing even close to that. I pulled up to the driveway that I had pulled up to so many times before. I stared for a minute at a house that I had grown so fond of being in. A house that had welcomed my husband and I so many times before. The place we first felt like was our second home, filled with our second family when we felt so far away from our own families separated in distance by other countries. But, I began to feel an emptiness as I realized the person who made this house so special would no longer greet me at the door with a hug and smile. As I write this, that same aching fills my heart. But what followed the rest of the week was the sure sign of a house, a woman centered in God. You see, I’m writing this because I was left with such an impression that week. The Pikes have always left an impression on me and my husband. We adore them and we so look up to them. But, this week we grew in even more adoration of them. Secretly I was mad, so mad. It was unfair of God to take away such an amazing woman, someone who I felt I could go to for advice, love and encouragement. I needed her. I really did. And yet, God took her away. And I wrestled with this on the inside. I feel ashamed at how mad I was and how mad I often find myself still at times. Because when I walked in that door I saw such peace, love and strength in the faces of Mrs. Joy’s husband and children. I looked at them in amazement, I watched them as they wept when they needed to, but mostly as they laughed together and prayed to God for strength. I sat feeling helpless. I had come to help my best friend, to be of any help to the family, but really they helped me. I spent that week watching as the whole community came to her visitation, people from all different states driving just to see her for the night, hours and hours of people in and out to show their love and support to the family. I sat in amazement at the funeral home as I watched a visitation that was supposed to last till 8pm go until well past 10 with people who had waited several hours in line. And I listened as people told stories of the impact Mrs. Joy had on their lives. Mrs. Joy would’ve been embarrassed by all the attention, that’s just the type of person she was. I watched as all five of her children stood by her casket for all those hours smiling and hugging each person as they came by. I wrestled in my heart with this unimaginable strength I was witnessing. Of course they cried some, maybe even at times a lot, but the inner strength they had was a strength I had never seen before. This strength, undoubtedly they would say was from God. All week I watched, listened and observed this family I had grown to love so much. And, I found my heart longing. I was longing for the type of relationship with God that Mrs. Joy had. One that overflowed into her family. As I sat across from her four boys and their spouses, and her daughter who so graciously let me be her best friend, and Dr. Pike, her husband, I was inspired. I went to bed that night with a prayer on my heart. Would my family flourish under such circumstances that this family was flourishing under? Would my death cause my family to draw even closer to God? Or would my own influence in their lives really show? As I think about flourishing, I think about Mrs. Joy. She excelled in it and it showed during such a hard time as this. She loved God with all her heart and she lived out exactly what God demands of us in. Not only did Mrs. Joy flourish, but her family flourished, they are still flourishing because she passed down to her children the most important thing we could ever pass to our children, the Word of God. She lived her life by God’s words, and she loved others according to God’s words. She made an impact far greater than most ministers will make in their whole lifetime of ministry. Mrs. Joy would say she was just an ordinary person who wanted to show others the love of Christ. But Mrs. Joy was not an ordinary person, she was one of the most impactful people I have ever met. And it didn’t stop with her death, it only continues to grow. Something happened to me that week of her death, I changed. I saw the effects of a person who loved the Lord with all her heart and loved people with everything she had. I saw the effects of a flourishing person. I am challenged to be the type of person who doesn’t just live life to get by, but one who is flourishing in my walk with God, my role as a wife and mom, and my role in loving others. To you, the reader, I challenge you to count each day as a gift. Don’t just live your life to get by, live your life to flourish. And Mrs. Joy, thank you for showing me how. We are giving away an adorable hand-printed apron [by Lindsay Letters]! The giveaway will be happening through this Friday, so click here and get entered to win.